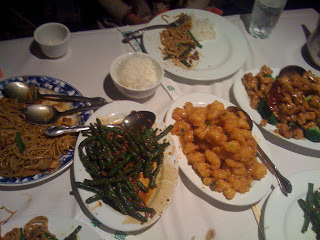 My family and I have been going to Yang Chow for years. It is one of my favorite Chinese restaurants. If you like Chinese food, I highly recommend this place. They make everything fresh when you order it. My family and I definitely have our favorites on the menu and we usually get the same thing every time we go lol. The Slippery Shrimp is where it’s at! Yang Chow is a sit down restaurant. They bring you Chinese tea and cabbage salad to start and then take your order. It’s not a quick fast food take out place. I go to the one in the valley on Topanga Blvd in Woodland Hills right across from the Westfield Topanga Mall but there are two other locations, one closer to downtown LA, and one in Pasadena. SLIPPERY SHRIMP– this is my absolute favorite. Yang Chow is famous for this dish! Soooo good. Make sure you are really hungry before you go because I’m always soo full afterwards! It’s easy to over eat there lol. The Slippery Shrimp is my favorite…I can’t even say anymore about it because it will make me hungry.